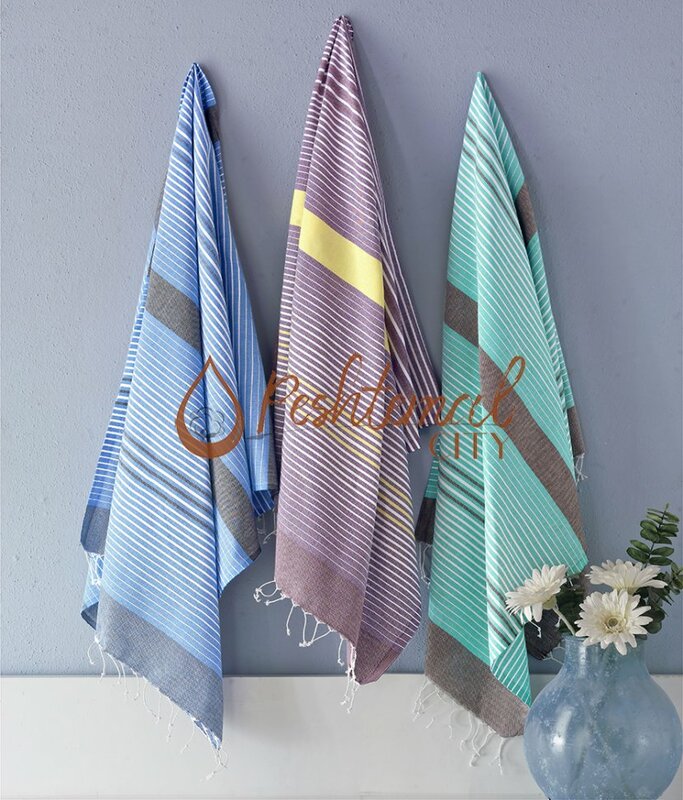 Strippy Peshtemal is one of our latest fashion traditional hammam towel designs. It has thin stripes along with colorful blocks in the middle completed with white fringes at both ends. Traditional yet vibrant, Strippy Peshtemal is an elegant an elegant Fouta towel design. Woven 100% from premium quality Turkish cotton, what makes Strippy Peshtemal so perfect for daily use is the perfect combination of elegance and high-quality texture. It is an extremely durable, highly absorbent, very soft, and quick-drying Fouta towel. Strippy Peshtemal has a comfortable texture which makes it perfect for daily use, and an elegant design which makes it a chic decorative item! You can both take it during your vacations and use it in your bathroom!